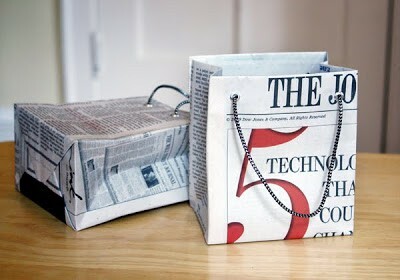 Recycling newspaper is great but why not use all of those newspapers to make something you need! 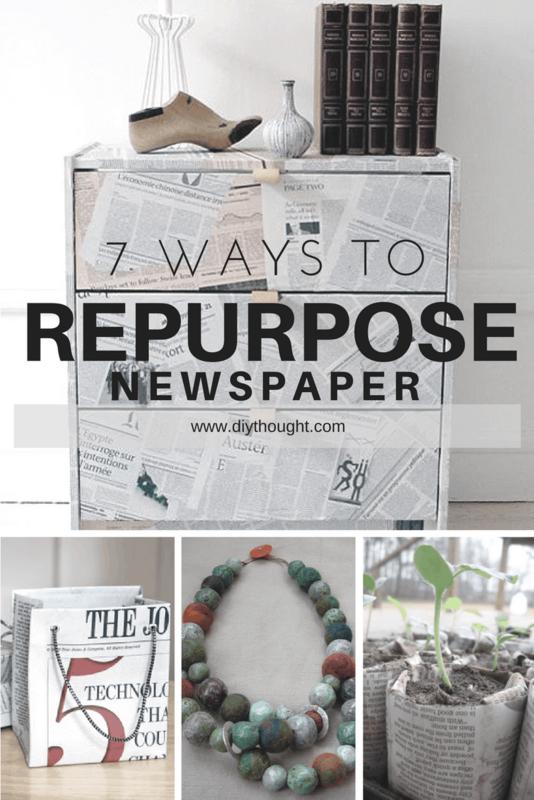 You are sure to find something to make in this list of 7 useful ways to repurpose newspaper. One can never have too many baskets! Easy to make big or small and provides the perfect place to put crafty supplies. Click here to get the full tutorial. 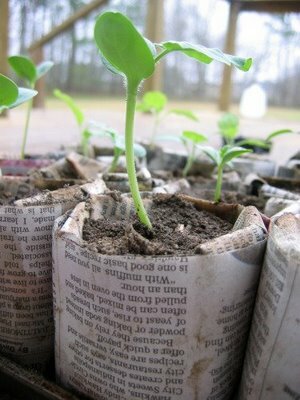 These newspaper seedling pots are useful to any home gardener. 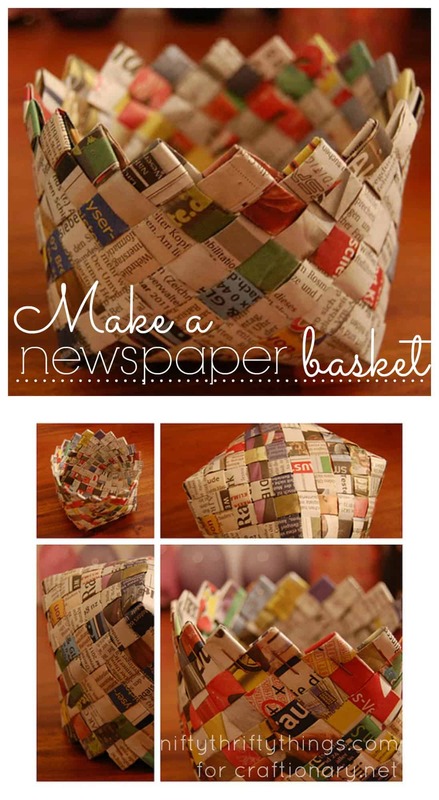 Why buy pots to grow seedlings when it is so easy to make them out of newspapers! Follow this link to get the free tutorial. As a mom of two girls, we can never have too many beads! 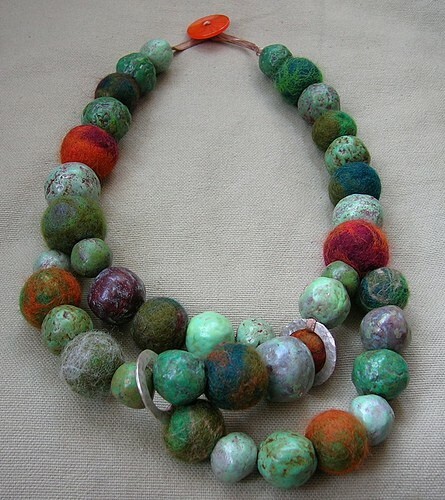 These beads are beautiful and create unique pieces of jewelry. Find out how to make them here. 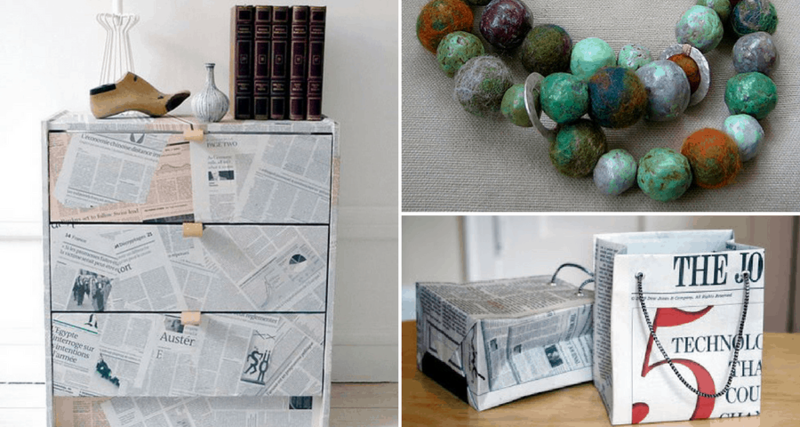 Turn old newspaper into new craft paper. It is very easy to do and a fun activity for children. Add extra leaves and magazine pages to add color and contrast. 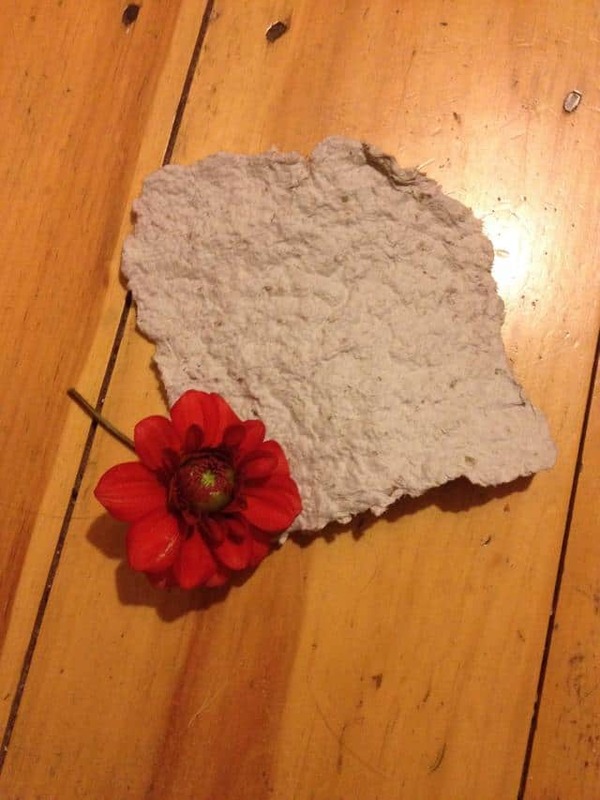 Click here to find out how to make your own craft paper. Make a statement with these very cool and eco-friendly gift bags! Follow this link to get the full instructions. 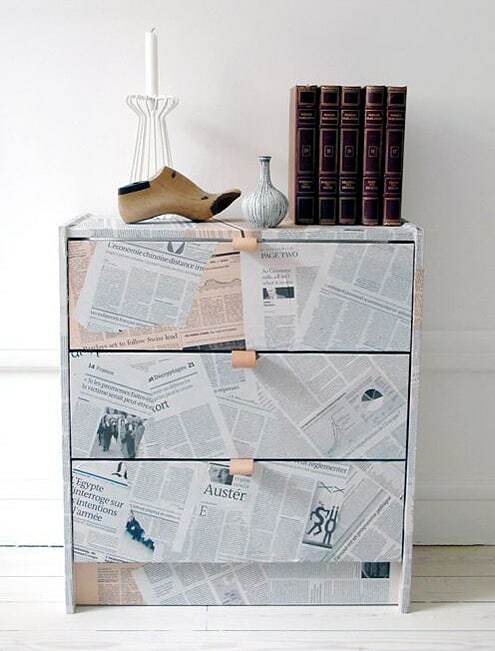 Cover old tired furniture with newspaper to create a new modern look. It is easy to do and almost anything can be covered! Click here to find out more. 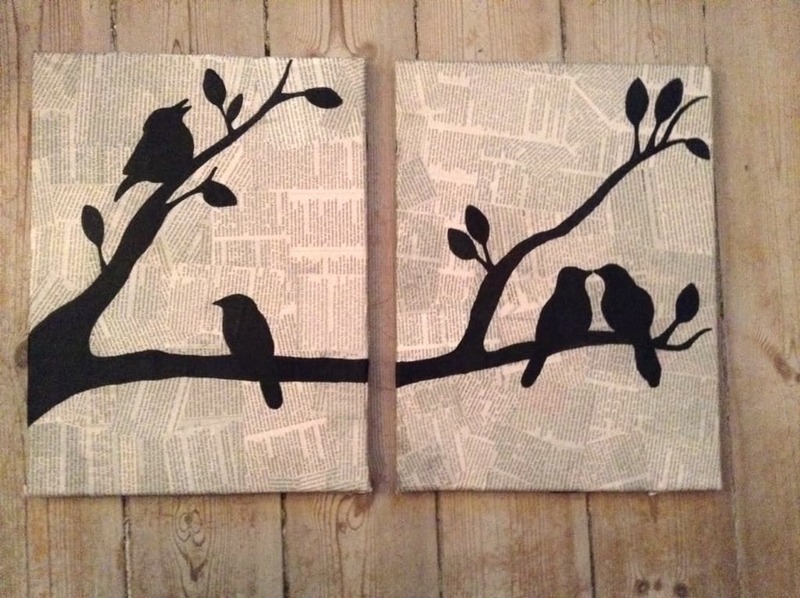 Glue newspaper to a canvas and then draw on any design you like with a black marker pen. Another amazing yet simple newspaper idea! Source found here.